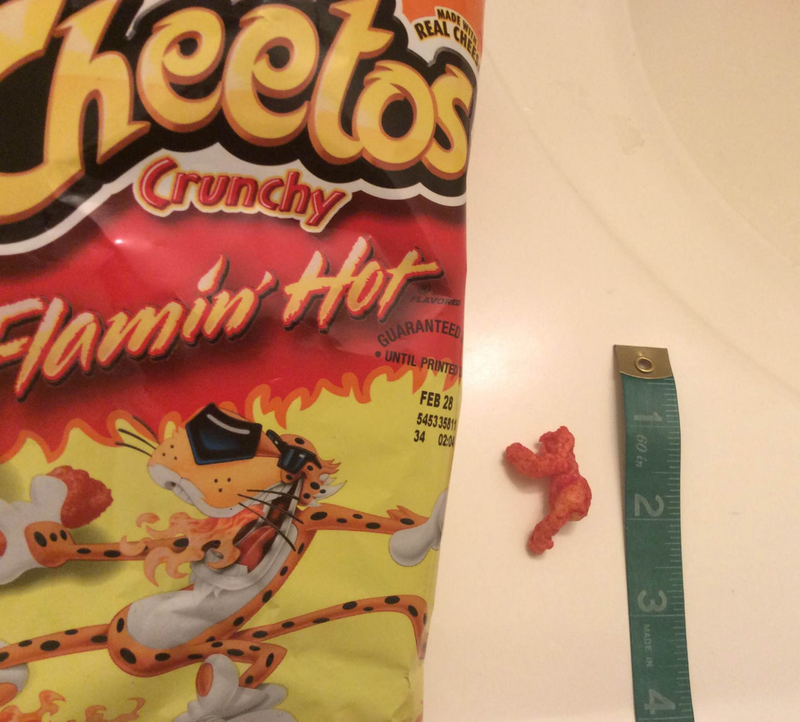 A little over a week ago, seller valuestampsinc posted a listing on eBay for a Flaming Hot Cheeto vaguely resembling Harambe. On Monday, this inevitably became a viral story due to its exorbitant price—the final, winning big is a whopping $99,900 (£80,773). Cheeto Harambe is the perfect paradigm for internet virality at its worst. In short, it is very, very stupid. For anyone who slept through 2016, in May a gorilla named Harambe was shot and killed at the Cincinnati Zoo after a four-year-old boy fell into his enclosure. The late ape was widely mourned, and soon he became a viral superstar, birthing the “Dicks Out For Harambe” movement. In meme years, Harambe is ancient history. The lifecycle of viral content moves quickly—a joke can only be funny for so long, and that’s OK. We no longer need to talk about Harambe because we already made our jokes. We did our bad tweets and our YouTube parodies. Let’s move on. The Cheeto is unsophisticated and commonplace; it’s what makes the story quirky enough to be written about. In the least subtle way possible, it plays on the trope of finding god on your food. It tries too hard. Ebay bidding wars for absurdly banal products have a long internet history. Way back in 2004, a woman sold a piece of toast resembling the Virgin Mary on eBay for $28,000. In 2015, bids on an eBay listing for a stroller with a humorous description climbed to almost $200,000. Last year, after “Damn Daniel” went viral, a slew of eBay listings claiming to be the original white Vans popped up—on some of the vans, the bidding reached over $300,000. It is, however, unlikely that the winning bidders of these dumb auctions actually pay up. According to eBay’s user agreement, “You are responsible for reading the full item listing before making a bid or commitment to buy.” But the site doesn’t have any real way to enforce that. I’m dubious of the actuality of someone shelling out six-figures on a Cheeto. And since memes come and go at lightning speed, we never really learn how most of these viral eBay actually play out. Without proof of purchase, these viral auctions reach a new level of insipid folly. The inanity of Cheeto Harambe is, of course, only relevant if the media deems it newsworthy. But bloggers gotta blog—I’m part of the problem, I know—and thus we get dozens of articles about a potentially bogus auction starring the most played-out meme in recent internet history. With a careful balance of meaninglessness and irrelevance, Cheeto Harambe embodies the internet at its least funny and interesting. It’s a meme gone awry, and clearly, I will not stand for it.